This was an aspect of Canadian history that I wasn’t aware of. In the case of this novel, I didn’t know that freed slaves were transplanted from their homes in the United States to Nova Scotia, Canada. Imagine the upheaval of leaving the only home you’ve ever known (in this case, a plantation on South Carolina), and being moved to Nova Scotia where you will make your new home. Not to mention, attaining your freedom before making this journey. “The American Revolutionary War is being waged, and the fate of slaves in the colonies is on the line. 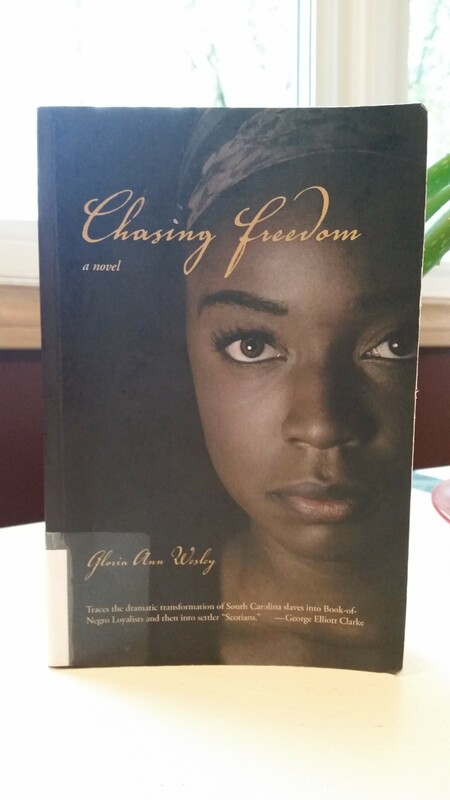 Sarah Redmond, a slave on a South Carolina plantation, watches with a heavy heart as her father steals away in the dead of the night to join the British army, enticed by promises of freedom, land and provisions for his whole family. But before her father can return, the war draws to a close and the Loyalist slaves are all freed — including Sarah and her grandmother, Lydia. Uncertain of their future, Sarah and Lydia join the thousands who are rounded up and sent to New York to prepare for their journey to a new home somewhere in the British colonies. After months of waiting, the Redmonds are assigned to a ship bound for the first all-black community in North America: Birchtown, Nova Scotia. With their Certificates of Freedom in hand, Lydia and Sarah wait anxiously, hoping beyond hope that their new life will bring acceptance and happiness. But once they reach Birchtown they find that their new home is barren, cold and isolated — and in a world slow to forget old fears and hate, their Certificates offer them freedom in name only. I enjoyed this novel, and was both pleased and saddened throughout. Pleased because of the dreams and opportunities Sarah Redmond had for herself and her life. And saddened because of the treatment she suffered just because of her skin colour…even though she was a free woman!! *My progress for the Canadian Book Challenge is 12/13! !